Whenever there was a knock at the Capuchin Monastery door, Fr. Solanus Casey answered. The Capuchin friar's prayers brought comfort and healing to visitors he greeted at friaries in Michigan, New York, and Indiana. On September 12, 2012, inside St. Bonaventure Monastery in Detroit, where Casey's remains are interred, a miracle happened. Minutes after a pilgrim knelt at Casey's tomb, signs of her lifelong genetic skin disease disappeared. Pope Francis declared the healing a miracle, and nearly 70,000 people filled a Detroit football stadium on November 18, 2017, for Casey's beatification ceremony, when the Catholic Church honored him with the title of "Blessed." The Wisconsin-born Casey, a onetime prison guard who died in 1957 at the age of 86, is now one step and one more miracle away from becoming a saint. 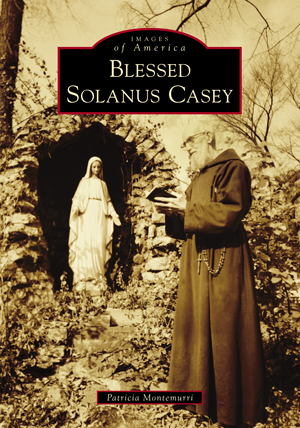 The photographs in Blessed Solanus Casey illustrate the arc of his life and legacy, including images from his early years and ministry to the poor, of those who say they have been healed by his prayers, and of the stirring Catholic rituals accompanying the friar's path to possible sainthood.